We were contacted by our clients who owned an end of terrace property in Derbyshire worth £245,000 that they were looking to sell. They had already found the property they were wishing to buy in the nearby suburb of Chellaston, which was well within their budget having had an offer on the their property which they had accepted. Unfortunately however, the client’s potential buyer withdrew from the sale at the last minute following a funding issue, leaving our client potentially being subject to a break in their chain. The result of this meant they could not progress with the offer on their new house. 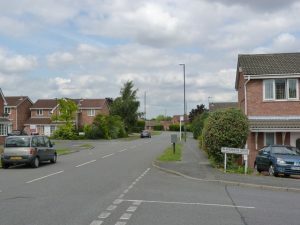 As they had searched for properties for sometime in this desirable area they feared that the house would be sold to another buyer – therefore losing out. They contacted One 77’s Specialist Lending department who were quick to react to ensure that the Chellaston property remained our clients assuring the sale to go ahead by arranging short-term finance by securing a bridging loan against both their existing residential home and the property they wished to buy. The funds were received quickly and they were able to progress with the purchase of their new home, whilst returning their existing property back to market. They completed the purchase of the new property just over 21 days later. Being let down by your buyer can be a devastating situation for many people looking to move house. Thankfully, by arranging bridging finance we can ensure that a formal offer letter on a new property can be produced in as short a time as 3 working days, allowing you time to remarket your property whilst a new buyer is sought. If situations were to take longer though, then we are always on hand to arrange any refinancing should things not progress as quickly as you would like.